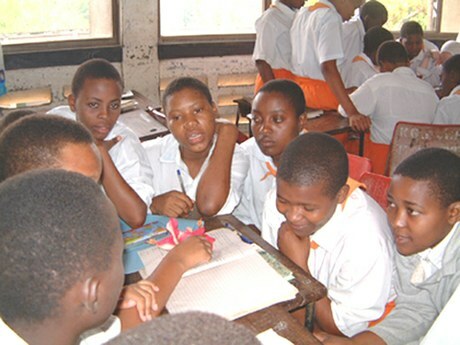 PASHA is a project of the Ministry of Education and Vocational Training (MoEVT), Tanzania. It is funded by the German Federal Ministry for Economic Cooperation and Development (BMZ) through the German Technical Cooperation (GTZ) as part of the Tanzanian German Programme to Support Health (TGPSH). The Swiss Centre for International Health of the Swiss Tropical and Public Health Institute was contracted to provide the technical collaboration and support for implementation. PASHA Phase I ran from 2003-2006 and piloted methodologies and activities that enable school students to develop the life skills needed to make informed decisions with regard to their sexual behaviour. Phase II from 2007-2009 involved expansion to two new regions and inclusion of the primary school level. Phase III is now underway and will run from 2010-2012. Location Initially PASHA worked with all secondary schools in Tanga Region (71 in 2003, more than 150 in January 2007) regardless of their ownership (government or non-government) and with two teacher training colleges. Since 2007, primary schools are also included, and coverage has extended to the Lindi and Mtwara Regions. In 2010, 169 primary and 92 secondary schools are currently supported. In Phase II, PASHA trained 1174 Peer Educators and 470 counselling teachers. In the new phase, the approach will be extended to the Mbeya region, as well as to other regions in partnership with the MoEVT and other organizations. Approach All project supported activities are in line with the strategic plan concerning HIV and AIDS of the MoEVT. The project design is based on research findings and good practices of existing interventions. PASHA is regurlarly commissioning external studies to explore specific aspects and ensure a continuous quality improvement of the approach based on lessons learned. Activities of the project aim at establishing guidance and counseling services and peer education programmes in primary and secondary schools as a means for effective reproductive health and life-skills education. Addressing the issue of school girl pregnancy in relation to prevention and policy advice has emerged as a new thematic focus of PASHA over the last phase. PASHA has developed a series of educational materials, including the "Shangazi Stella modules, which address frequently asked questions of students in a participative way, or a lifeskill guide. Peer education activities are one way to protect the youth from the threat of HIV.